Pauleen Luna gives birth to bouncing baby girl! 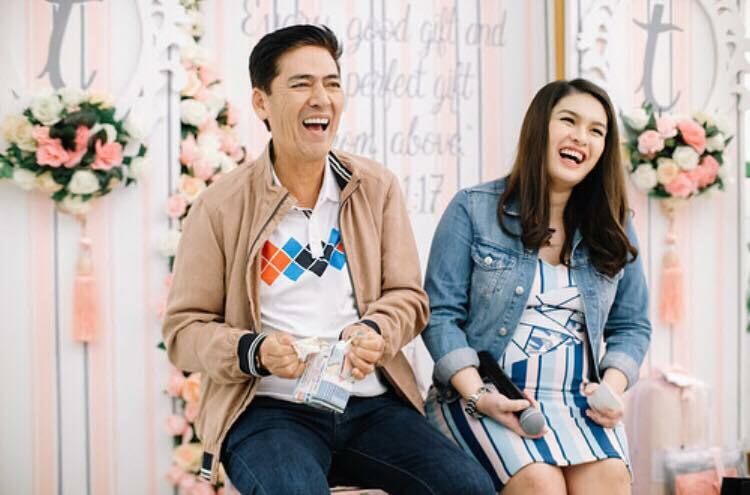 Proud father, Vic Sotto surprised the crowd when he announced on Eat Bulaga today that his wife Pauleen Luna gave birth to a healthy baby girl. The name is yet be revealed but the couple confirmed that it will start with letter T.
Vic and wife, Pauleen Luna-Sotto are in the moon right now with the birth of their first born. In their Juan for All, All for Juan segment, Vic asked Allan K to greet his wife, Pauleen. The puzzled Allan K greeted a “Happy Birthday” but Vic corrected him that it’s still days away before Pauleen’s birthday. They promised to share photos of their baby girl very soon. Early this year, the fun-loving couple joked Pep that they plan to name their first born, “Jessica Sotto,” in line with the famous journalist Jessica Soho. But, Pauleen confirmed that the name will start with letter T.
Pauleen has already been absent on their noontime show and announced earlier that she will be taking a time off to prepare for the baby. She posted on Instagram her heartfelt gratitude to their Dabarkad family. Vic and Pauleen recently had two baby showers given by their family and friends.